Make sure all of your employees are current on best practices. In every industry, best practices necessarily develop and are revised over time to reflect new innovations, advancements, or changing market conditions. 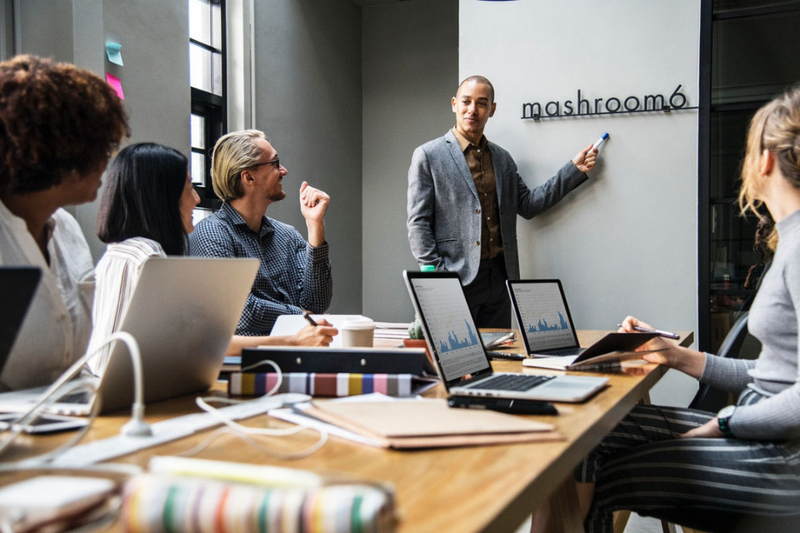 Continued employee training allows business leaders to better ensure all their staff are up-to-date on these best practices for the industry and their specific job functions. Use the opportunity to improve the efficiency of operations. Over time, business owners and managers will inevitably identify ways to make a business run more efficiently. The best way to implement those changes is through continued employee training. Without a recurring, formalized training system, operational changes that might substantially boost your bottom-line may take far longer to be implemented, or perhaps never be implemented at all. Open the door to employee-driven innovations. Continued training not only gives you and your managers a chance to implement your own ideas to make the business more efficient. It can also serve as a way for you to hear ideas directly from your employees about how to increase production, eliminate redundancies, or otherwise improve efficiency. Not all innovation in business comes from the top. Much of it comes from staff in non-management positions – straight from the people who are actually completing many of the tasks that make your business run. If you want your business to run well and be profitable, be sure to maximize the skills and knowledge that your staff develop through experience. One great way to do that by allowing them to share their own insights with management during continued training. Help reduce potential safety concerns. In some industries, physical safety can be a potential problem for employees who aren’t reminded to stay vigilant. In many cases, emergency plans or safety procedures can change over time – and employee training is the best way to make sure staff are aware of the latest company policies. However, this portion of firm training can extend beyond physical safety and into other areas that are more universal. For instance, in today’s world cybersecurity is a real threat; and continued employee training is the most surefire way to make sure your company is protected from malware and other attacks. Your employees are the first-line of defense against potential intrusions, so make sure they know what to look out for and how to avoid compromising the firm’s hardware or sensitive data. Respond to new customer needs, market conditions or production inputs. Most businesses change remarkably over time. A company that started to produce a particular product or provide a particular solution will possibly, over time, widen its offerings to accommodate add-ons or related services – or it may narrow its focus to only those areas that are the most profitable. In many cases, the way your business produces things or the way you provide certain services will change in response to market trends, including the costs of some resources. In other instances, you will need to revisit your core aims as customer demands and expectations change over time. While many of these decisions will be made at the highest management levels within your company, informing employees of the driving factors as well as the operational changes that need to be made is best accomplished through continual training. Continual, effective employee training is a cornerstone of efficient operations in any industry. Businesses are not static, nor do they exist in a vacuum. They must strive for continual improvement and respond to a complex, every-changing marketplace. As a business leader, you can make all the right decisions and formulate all of the greatest strategies, but if you don’t provide the continual training necessary to implement proper changes at every level of your organization, then all of your decision-making and strategizing will be meaningless. If you want to have an effective business, be sure to implement some kind of continued training. The right framework will allow your employees to continue improving and foster a team-oriented culture. It will also help your employees to boost your bottom line, and make for a better company. Steven McMeechan is a strategic marketing and communications specialist with over twenty years’ experience in senior marketing management roles across a range of industries including Information Technology and Financial Services. He works for Capstone Financial Planning and lives in Melbourne, Australia.